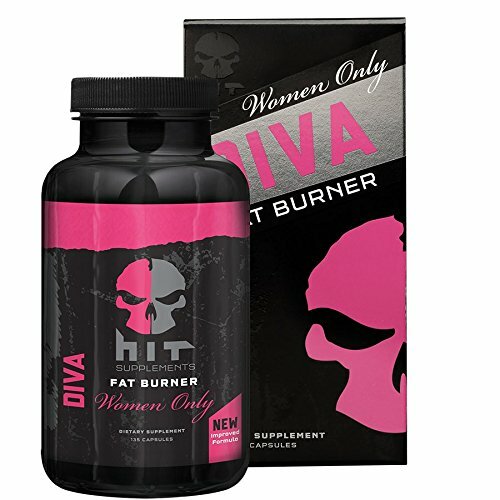 On this page you will find a review of the women only Diva fat burner by HIT Supplements. The English word Diva comes from the Latin word Diva which roughly translates to ‘divine one’ or ‘goddess’. This is a bit different to the meaning this word has acquired in modern times though. These days when someone says Diva most people probably think of someone acting like a spoiled brat. Well I do anyway, so I think that the marketing team from HIT Supplements are rather brave and that calling a product Diva could go either way. However it doesn’t seem to have hurt them. 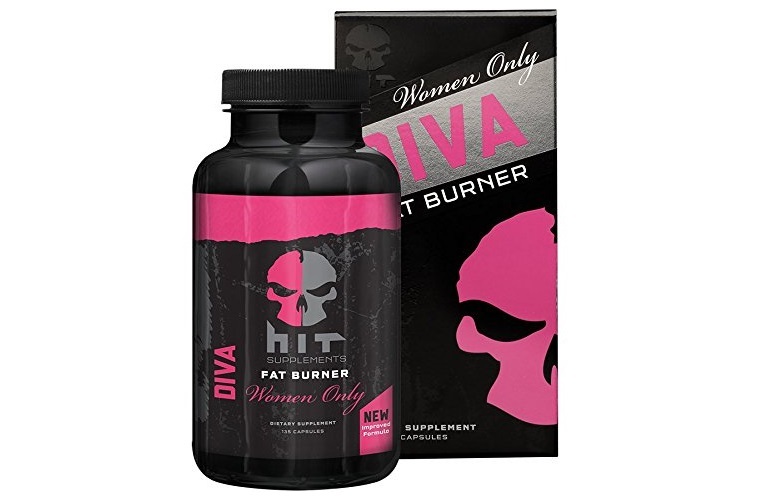 Whether it’s due to magnificent marketing or the formula of the product itself the Diva fat burner is very popular and renowned as being a thermogenic fat burner that works. There are three main components to the make up of this fat burner – the ‘Fat Blocker Blend’, the ‘Metabolism Blend’ and the ‘Energy Blend’. 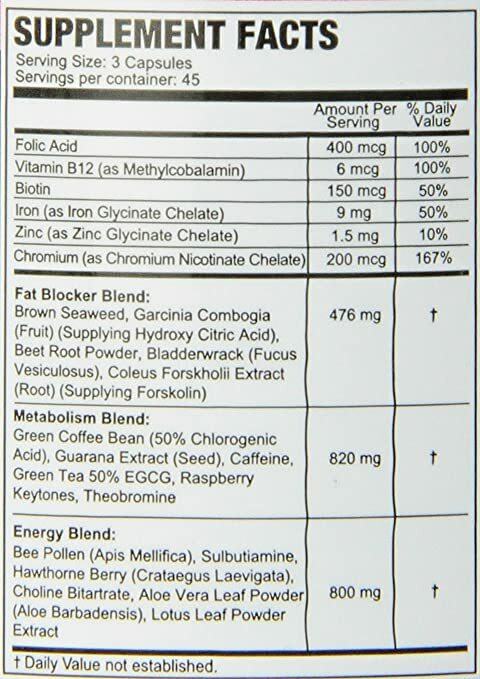 Any thermogenic fat burner that works will have ingredients to perform these 3 functions in varying amounts. This is there to suppress your appetite and you don’t need to be a doctor to know that eating less is a good way to drop or maintain your weight. The various parts of the fat blocker blend, particularly the tried and tested Garcinia Cambogia will be sure to have you putting less food in your cake hole, less often. So while you are enjoying a calorie deficit as a result of the appetite suppressing properties of the above, you want to kick your metabolism so that you can quickly burn up any excess energy you have in your body and start burning up those filthy fat stores. Each serve of this has 820 mg of metabolism enhancing goodness. Many people know that caffeine boosts your metabolism but they don’t know why. What it basically does is increase the amount of fats in your bloodstream which are consequently converted into energy and burnt up. The other ingredients add to this effect and as a special bonus there is some Theobromine included. Theobromine is a key chemical found in chocolate so you could say that this fat burner contains chocolate! This is especially important as people taking fat burners often have decreased energy levels. This is becasue a necessary evil of burning fat is maintaining a calorie deficit. Calories are energy. Ingesting less of them than you would like means by definition that you have less energy. A natural instinct of the human body is to try and reduce our activity level to conserve the little energy available so running or going to the gym is the last thing we feel like doing. Luckily for us, we have thermogenic fat burners with artificial energy and motivating properties to help us push through and burn off those pounds. The caffeine and guarana listed above give an energy boost and when combined with the other ingredients on the energy blend not only will you be able to resist the urge to sleep but you may also find it hard to sit still. ive used some of those eating suppresant things and I guess some of them work but over time they become less effective because you get so used to it, happened to me anyways. They do help you lose weight that’s forsure, I always reccomend if you need these kind of things though go with something that’s all natural, are these? Thanks for the review, might pick something up for my lady. Do these modern day fat burners really work like the old ones used to? I’ve taken a few in the past and they all worked… but all of those have been banned! Is this fat burner safe? I’m looking at this more for my girlfriend and she’s very sensitive to stimulants. Thanks for taking the time to type this up! It was a very helpful review! You’re right, some fat burners and pre workouts have been banned because they don’t meet FDA guidelines however this product is safe and to my knowledge doesn’t contain any suspect ingredients so I highly doubt it will ever be banned. If your gf is sensitive to stimulants she should be careful taking fat burners because they all work by stimulating your metabolic processes to burn more fat. I’m not a doctor but I would suggest she take half or even a quarter of a serve and see how she goes. Happy fat burning! This is a very informative review about the women only diva supplement, thank you. Do you know if there are any side effects you have to be aware if using it? I don’t have experiences with these kinds of supplements but it seems like it’s a huge market, hence, many people use it! Hi Vera, I’m not a doctor but in my opinion the main side effect from a product like this is loss of weight! If you have any heart problems or other medical conditions you should always talk to your doctor before taking any supplements. Good luck! Hi there I really enjoyed the write-up, my wife is currently looking to shed a few pounds after our last child. I’ve worked in the supplement industry for the past ten years but where we live it is very hard to get any good fat burners. I have two questions for you, has anyone reported any jitters from the high caffeine content and the second you mentioned in 1 of your comments that it’s not natural. Which compound are you referring to and is it safe. The reviews look good and we will probably try it depending more so on the second question. Hi Peter, everyone has differing caffeine tolerance so I can’t comment on the first question. Second question, I just meant that the product is man made. As far as I know all the ingredients are natural. Happy burning!